The entrance to the plant, where engineers are hoping for a $5 million solution. Albany just can’t seem to catch a break with the problem of solid waste at the joint Albany-Millersburg sewage treatment plant. As the weather warmed this spring, on bike rides past the plant and downwind from it, I once again noticed the outhouse odor that caused neighbors to petition the Albany City Council for a solution in 2012. An affordable solution is not yet in sight. The problem started shortly after the $70 million plant expansion was completed in 2009. A component or system intended to reduce the amount of solids did not work as expected, causing a buildup of this sludge and the need to dispose of it. In August 2012, the city of Albany reached a settlement with Siemens, the manufacturer of the so-called “Cannibal” system, for $4.75 million. About that time the city also started paying to have the solid sludge hauled to the Coffin Butte landfill frequently in order to reduce the odor wafting over the neighborhood. The following year Albany paid CH2M Hill, the engineering firm that had designed the treatment plant rebuild, $80,000 for its help in reaching the settlement. 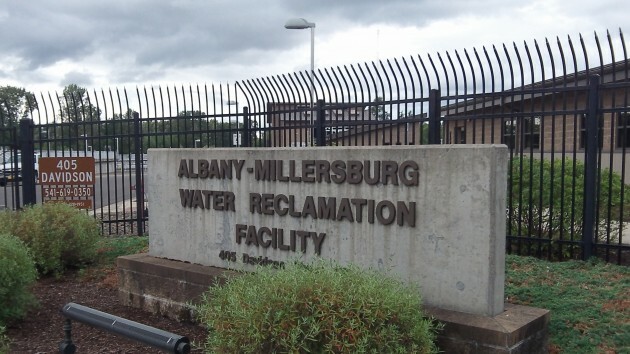 The issue was alluded to briefly when the Albany council this week raised sewer rates 8 percent starting July 1. Public Works Director Mark Shepard, without directly referring to the sludge, said higher-than-expected operating costs at the treatment plant were among the factors in the rate setting. I’ve read of similar problems across the country. Cities, in their mad rush to “create” infrastructure, have been lured into some pretty obscene projects – all supposedly “good for the environement”. Environemental wackos – through multinational “LEED” and “green” corporations – are instead creating a path of destruction in their wake. Search “new sewer plant problems” on Yahoo and you’ll get page after page after page of problems with new “environementall friendly” facilities.